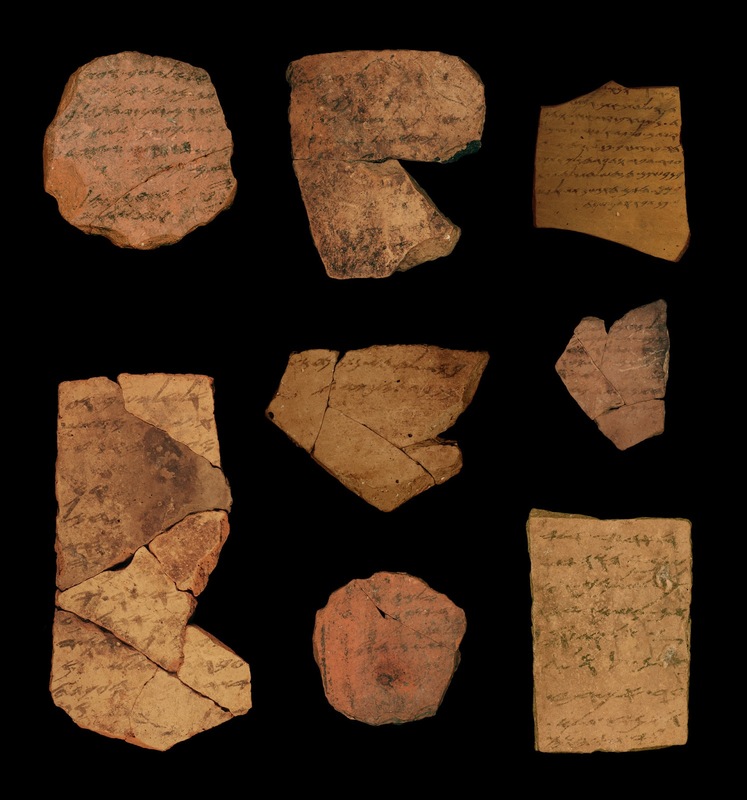 A new study published in the Proceedings of the National Academy of Sciences is demonstrating that there may have been widespread literacy in the Holy Land region of Judah as long ago as 600 B.C., towards the end of the period of the First Temple. This could shed new light especially on the period during which certain Torah books - including early versions of Deuteronomy through II Kings - were first written. A few years ago I was asked to lecture at the Hebrew University in Jerusalem and went out to the Dead Sea caves where so many ancient scrolls have been discovered. What a forsaken place. I'd been there before with my parents, long ago, and was doubly impressed again by how evidence could be hidden, so to speak, for a couple thousand years. So to fasten on a translation like one of the King James versions when even the languages involved have had their vocabulary and grammar revised by discoveries, seems - as with some of our brethren who want to cite scriptural evidence for what has happened to the Craft in Tennessee and Georgia, to fly in the face of this kind of newly discovered texts. Literalism is confounded by archaeology and probably will be further challenged by some cave or crypt yet to be discovered -- and don't we learn that there is more to find in the Royal Arch. "Again a stunner by Faigenbaum, Finkelstein & Co in Biblical Archaeology, as often before. However, it is a finding which is not a real surprise for those who are ackquainted with scribal and calligraphic features of Iron Age West Semitic and Ancient Hebrew epigraphy. If there were an outstanding art of calligraphy in the Levant of early first millennium BCE– and there is no doubt that there was, at least in Phoenician and ancient Hebrew (and maybe less in Aramaic, which developed only a century later) – then it is also clear that knowledge of alphabetic writing was no esoteric art of some few men, but of many freelancer guild of scribes. It’s like the relation of high performance sport and popular sport. Without the latter the former would not be there. Scholar like Josef Naveh or Frank Moore Cross have long ago claimed for a relative high rate of literacy in the early first millennium bce Levant. For calligraphic top performance a high rate of average output is needed – and sure there was scribal top performance in Israel even in the 9th century bce. One may only wonder about the hype now only because some scientists prove or try to prove by ‘hard sciences’ what serious scholars of ancient Hebrew epigraphy know since many decades. There is no need to deduce from that any information about when the Bible or parts of the Bible were written."